Q: How can I compare 2 different PDF documents in PDF Studio? 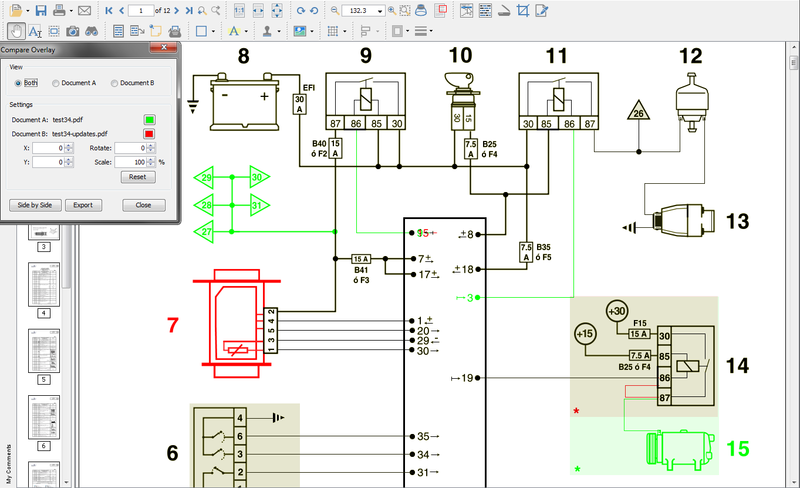 A: PDF Studio offers two different options to compare PDF documents: Side by Side Comparison and Overlay Comparison. 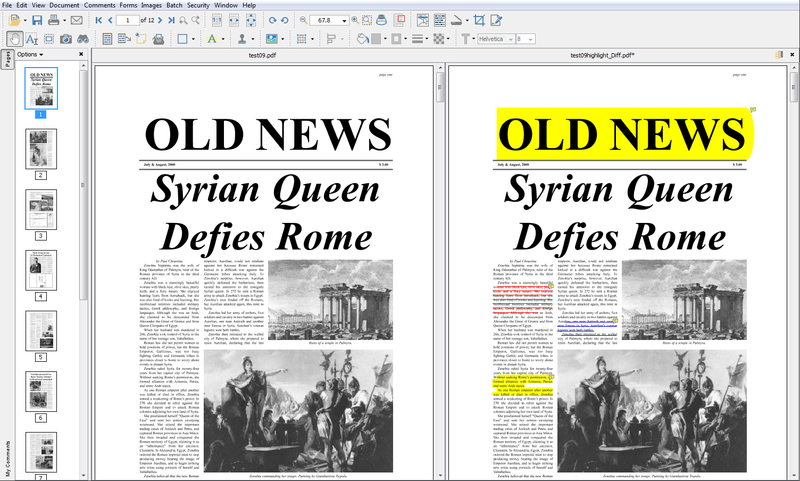 The Compare Side by Side feature was first released in PDF Studio 7, then improved in PDF Studio 10. This feature allows users to open two documents in the same window next to each other to compare visually. A new document comparison feature, Compare Overlay, was introduced into PDF Studio 10 that allows users to visually compare documents by overlaying a second document onto the first using different colors to display any differences.